The Avalon Marshes Centre sits at the heart of Somerset’s Avalon Marshes. Owned and managed by Natural England the centre has visitor information, café, craft shop, replica historic buildings, classroom, meeting room, car park and toilets. It is also an important focus for educational and other events and is the central hub for the management of the Avalon Marshes nature reserves providing a base for the RSPB, Somerset Wildlife Trust, the Hawk & Owl Trust and Natural England. The replica buildings are in the care of the South West Heritage Trust. The centre itself is awaiting redevelopment but is functional and provides a good base from which to Explore the area. A short walk up the road is Shapwick Heath National Nature Reserve (NNR); close by are Ham Wall NNR, Shapwick Moor, Catcott Complex and Westhay Moor NNR. All are within easy cycling distance and have car parking. To find out more go to our Nature Reserve pages. The Avalon Marshes Centre is linked to Glastonbury by an almost entirely traffic free cycle track which passes through Shapwick Heath and Ham Wall NNRs. This route links into National Cycle Route 3. 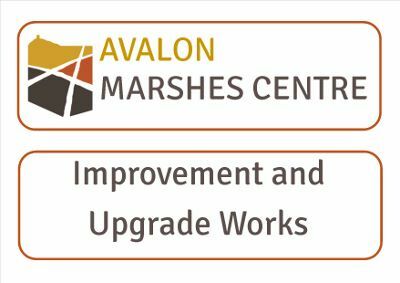 Please note that further improvement works are being carried out at the Avalon Marshes Centre starting on 28th January and due for completion in mid-March. The centre including the cafe and craft centre will remain open as usual during this period. To find out more go to our news page. At the centre you will find two replica buildings under construction. 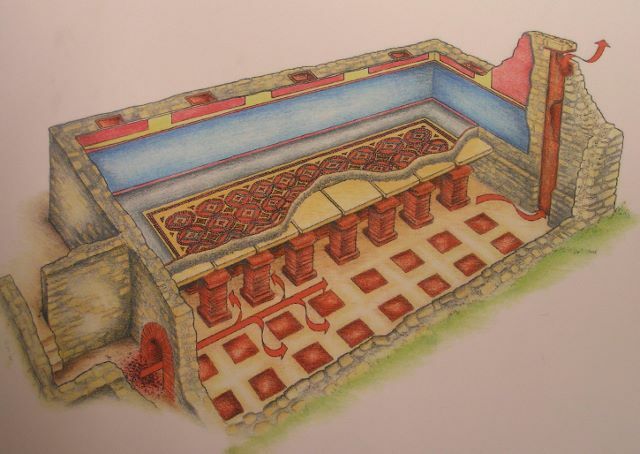 One is a Romano British dining room with a working hypocaust, the other a Saxon longhall based on the 9th century Saxon Royal Palace at Cheddar. These buildings have been constructed by the South West Heritage Trust with their Hands on Heritage volunteers. The buildings were funded by the Heritage Lottery funded Avalon Marshes Landscape Partnership Scheme. They are currently only open to view inside for special events only – keep an eye on our Events page. In addition, the site also boasts the Bulleid and Gray hut, which formed the base for the archaeological excavations at the Lake Villages. These were undertaken by archaeologists Bulleid and Gray, in the late 19th and early 20th Centuries. The hut was part of the Peat Moors Centre, which closed a few years ago, but is to be relocated next to the two new replica buildings. The attractive gallery and craft shop is operated by Somerset Crafts, a group of local artists and craftsmen. Open seven days a week sells a wide range of original hand-crafted items, many drawing their inspiration from the wildlife and landscape of the Avalon Marshes. Open 10am to 5pm seven days a week. To find out more go to www.somersetcrafts.com . They also have an Instagram site. The centre has a new cafe. the “Marshes Hub Tea Stop”. The cafe serves hot and cold drinks, ice creams, home made cakes, cream teas, a range of sandwiches, baguettes, paninis and breakfast baps with sausage, bacon and eggs – and there is more to be added to the menu over the next few months. There is both indoor and outdoor seating and you are assured a warm welcome. Located in the Craft Gallery, our visitor information point has lots of maps and leaflets about the nature reserves and local area. The desk is regularly manned by staff and volunteers who will try and answer your questions and help you get the best out of your visit. When the Gallery is closed there is a map and a selection of leaflets accessible outside alongside the café area. In 1963 a local family, the Rogers, bought a small cottage called “The Willows” and its adjoining peat-rich land. Trading as “the Willows Peat Company” the peat was dug, bagged and sold. In 1976 the Rogers opened a garden centre which complemented the growing demand for horticultural peat – the “The Willows Garden Centre”. Nearby peat was being excavated in huge quantities by peat companies such as Eclipse, Fisons, and Godwins, unearthing a remarkable archaeological record in the process, including the famous Sweet Track. These finds were recorded and rescued where possible by the Somerset Levels Project led by John and Bryony Coles. Seeking somewhere local to tell the archaeological story and display some of the finds, the project worked with Roger Rogers to establish the Peat Moors Centre. In 1992 it was expanded to tell some of the story of the Lake Villages. 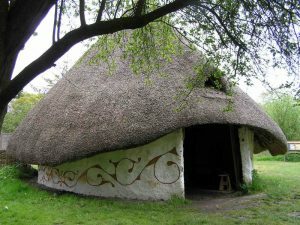 Two Iron Age round-houses were constructed, the Bulleid and Gray hut moved to the site and other work done to bring the history of peat alive. This work was funded by Somerset County Council who took over the running of the heritage part of the site. In 2006 the site was purchased by English Nature (now Natural England) as an office and work base for the growing Shapwick Heath National Nature Reserve and other Somerset reserves. Further developments provided a work space for the RSPB, Somerset Wildlife Trust and others; the Avalon Marshes Centre was born. Sadly the Peat Moors Centre shut its doors to the public in 2009 but it continued to be used as an educational resource and provided a work base for the South West Heritage Trust’s “Hands on Heritage” team. 2017-18 has seen significant investment at the centre by Natural England funded by Defra. The life expired portacabins have been replaced by a modern new office building for staff and volunteers. The Craft Centre has been refurbished and upgraded. Hidden away the underground services have been modernised and the centre has wi-fi for vistitors. It is hoped that, subject to funding, other significant improvements will take place over the next few years. Hot and cold drinks, ice creams, home made cakes, cream teas, a wide range of sandwiches, baguette’s, paninis and breakfast baps. Go to our contacts page . . . In 2017 Natural England started significant work to upgrade and improve the Avalon Marshes Centre. 2018 saw the construction of new offices to replace the life expired ones, improvements to the workshops, thermal and other upgrading of the Craft Centre, a complete re-vamp of all services including solar PV panels, fibre broadband, public wi-fi plus a mains sewer. All these works have been funded by Defra. 2019 brings the next phase of the works starting in January, again funded by Defra. To find out more go to our news page.